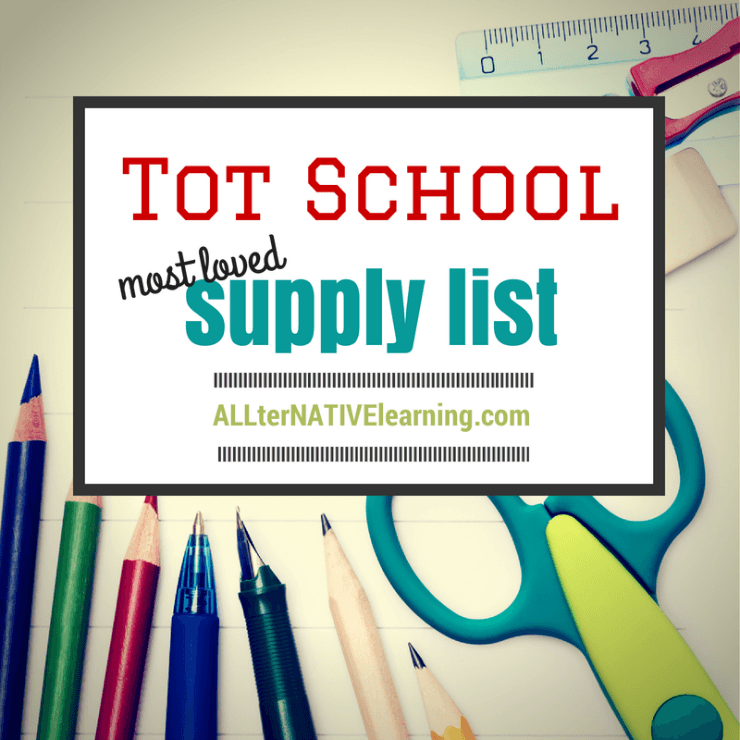 Because we are halfway through our own tot school year (we start with the calendar year), we have found that there are some toys, books, and supplies that we use more than others. While many of the tot school supplies are household goods, there are some toddler-specific toys that we definitely use and love more than the rest, making this a great topic! Not only will we go over our favorite and most used toys, but we also have a great gift basket giveaway worth $55! Make sure that you scroll to the bottom to enter and click on the large image to see more great homeschooling gift basket prizes you could enter to win. Affiliate links included for your convenience – thank you for choosing to support our family by purchasing through these links! What’s Included in the Gift Basket? Melissa & Doug Numbers Peg Puzzle – We LOVE peg puzzles. they are great for fine motor development and toddlers are always curious to learn about letters and numbers, making this a great toy. $15 Amazon Gift Card – Because we could all use a little extra cash to buy school supplies, toys, and other great goodies. eBook Every Parent Can Teach their Toddler: Learning through Play Everyday – Be the first to get the book! It launches on September 1, so be anxiously awaiting this in your email inbox on August 30th. Foam Letters and Numbers – Foam letters and numbers are great for sensory bins, bath time, busy bags, and even just as a puzzle in itself. 3 small Magnifying glasses – from looking at bugs to just making closer observations about the world around them, magnifying glasses are an asset to your tot school supplies list. Alphabet dry-erase writing practice flashcards – These are wonderful for older toddlers who are learning to write. They are easily portable and would make a great busy bag. Elmer’s jumbo washable glue stick – Whether you are crafting or just working on a fun project, repositionable and washable Elmer’s glue sticks are a must have. 4 Sets of color-based stickers from Crayola – Learn colors and have fun while doing it. With over 250 stickers in each of the 4 crayon-shaped sticker books, your toddler is sure to have fun. Stickers are great for fine motor skills and just fun play, plus learning colors is a nice bonus to sticker play. Bic Mini Mechanical Pencils – Little hands need little pencils. I also love that I can continue to refill these with lead and not have to worry about my daughter snapping them in half. SRX Mini Dry Erase Markers – Like mini pencils, mini dry erase markers are the perfect shape and size for toddler hands. They make a great addition to busy bags too since they are small and easily fit in pouches. Caribeaner set of 3 – These are justa fun way to practice fine motor skills, and maybe even build your own sensory board! Decorative scissors (Safe for little learners) – Cutting is more fun when it cuts in a shape. It also makes them safer because the edges aren’t so sharp, nor can little fingers easily fit inside. 3M Post it Notes – whether for mom or for toddler, post notes are always a great addition. Homemade Sensory Board – We made this almost a year and a half ago and it is still a favorite. We change it according to what she seems to enjoy and not particularly care for anymore. This means it’s a great manipulative learning tool that’s constantly evolving. Magnadoodle – This is a great toy to use in a magnet unit theme, but also just as a great drawing tool. We often draw out stories on it, draw shapes, try to draw animals, and use it for free play almost every single day. I just don’t know what we would do without one 😉 Worth every penny and more. It’s also the one toy that every kid that comes over just cannot resist. Ring Stacker – We love the Ikea Ring Stacker we have. It has been great because we have been able to use in in multiple themes and in many ways. It’s applicable in shapes, colors, patterns, buildings, ocean (because it looks like a lighthouse), and more themes! Peg Puzzles – Any and all are great. They are wonderful tools for fine motor skills and they come in so many shapes, sizes, and themes. We never turn down a puzzle, especially peg puzzles. Canvas Zipper Pouches – Whether the variety that can go inside of a 3 ring binder or the heavy duty ones made for toosl, these have been an asset and “must” have on our tot school supply list. We use them for busy bags, organizing like-themed resources and games, and having them to pick up and hold small toys. See more about our busy bags here and about how we organize here. Kitchen Gadgtology – This is one of the most exciting and well-loved books we have gotten in accordance with out tot school themes. It talk about how to use kitchen gadgets both in the kitchen and for fun! Bamboo Tongs/Tweezers – Great for fine motor games and an inexpensive supply that can also be used around the house. From Head to Toe – This is a fun and interactive book. It is great for physical activity, learning body parts, and learning animals. Definitely one of our favorites. Click the image below to visit the landing page for all iHomeschool Network’s Back to Homeschool Gift Baskets and enter our giveaway at the bottom! Wonderful basket! My toddlers would love it! 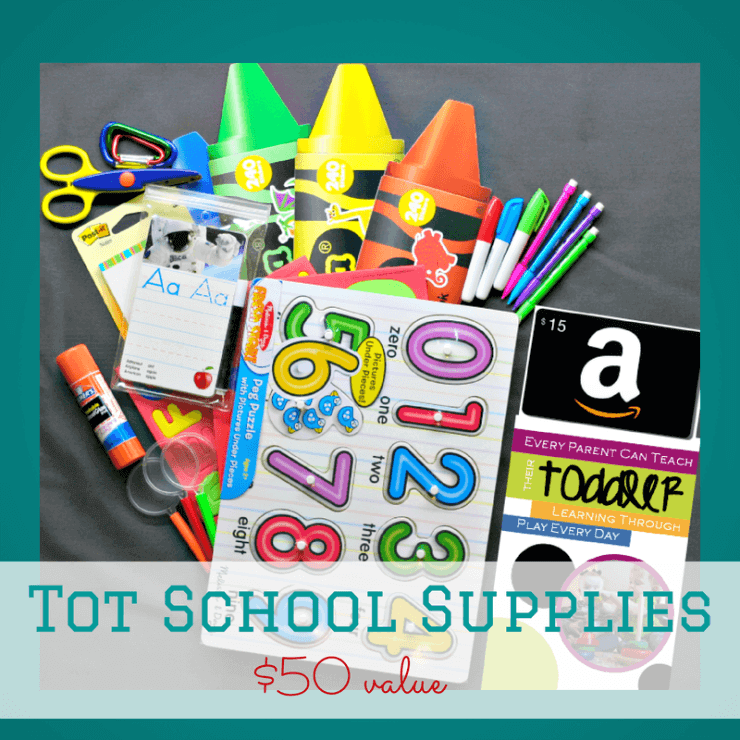 What a great giveaway for homeschooling mamas of tots!! Looks like lots of fun supplies for the kiddos!! What a bunch of awesome and fun stuff! Great basket. Love this givaway, thank you for the chance to win this. I’m going to have two toddlers in my homeschool this upcoming year. It’s going to be crazy! 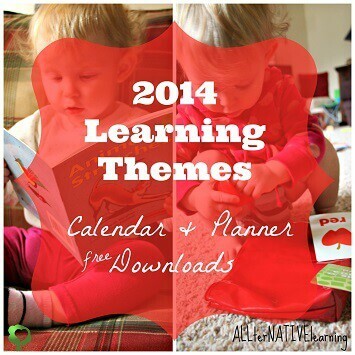 These look like great resources! Thanks for the chance to win. These look great. Looks like it could be a fun day! We have a baby on the way and this looks like an awesome package to keep busy in future years! 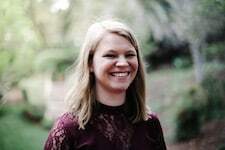 Just found your blog ala “Investing Love” and I am SO excited to explore more! Thank you for the chance to win. Looks like a perfect basket to keep my little guy busy. What a terrific giveaway basket you’ve put together! I’ve enjoyed exploring your blog. I can’t wait to read the first newsletter. What a great giveaway! My kids would love it! Love this basket! We are starting tot school with my 2 yr old later this month. Very nice basket for my toddler! I’m homeschooling my 10-year-old grandson and his 19-month-old sister would love this! This would be great for my youngest. She is always wanting something new to do while I am teaching her older brothers. Great items. I’m scouring the internet finding ways to keep our youngest busy while we begin our first year of homeschooling. Great looking basket! What an exciting giveaway! !